Anne Therese Marie Liver, 65, of Carlisle, co-owner of WL Heating and Air, wife of Gayle Rash Liver, died Saturday, May 12, 2018 from injuries sustained in a motorcycle accident. She was born November 29, 1952 in Erlanger, Kentucky, daughter of the late Fred O. and Elsa Schultz Domaschko and was a member of Shrine of Our Lady of Guadalupe in Carlisle. 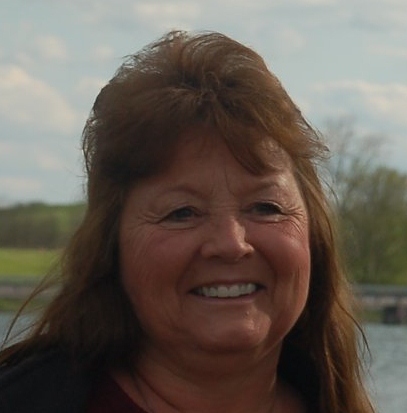 In addition to her husband, Gayle, Anne is survived by four children, Tracey Ellis, John W. (Andrea) Liver, James R. (Christy) Liver, Catherine “Katie” Liver; eight grandchildren, Tabitha Gilkerson, Colton Liver, Kimberly Liver, Justin Ritchie, Dustin Liver, Miranda Feeback, Katleen Feeback, Conner Liver; three sisters, Catherine Domaschko, Maryann Sullinger, Helen Long; and two brothers, Danny Domaschko and George Domaschko. A grandson, Nathan Clair Gilkerson, preceded her in death. Visitation will be 10:00 a.m. Saturday, June 2, at the Catholic Church of the Annunciation followed by Mass of Christian Burial at 2:00 p.m. by Rev. Daniel Fister. Burial will be in Clintonville Cemetery. To send flowers to the family of Anne Therese Marie Liver (Domaschko), please visit our Heartfelt Sympathies Store.